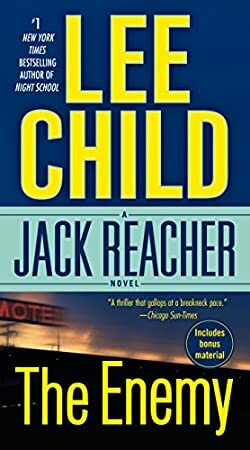 While this is technically #8 in the Jack Reacher series, to read the series in chronological order, you should start with this one, as it is a prequel from when Jack was still a Military Police officer. New Year’s Day, 1990. The Berlin Wall is coming down. Soon America won’t have any enemies left to fight. The army is under pressure to downsize. Jack Reacher is the duty Military Police officer on a base in North Carolina when he takes a call reporting a dead soldier. The body was found in a sleazy motel used by local hookers. Reacher tells the local cop to handle it – it sounds like the guy just had a heart attack. But the dead man turns out to have been a two-star general on a secret mission. And then, many miles away, when Reacher goes to the general’s house to break the sad news, he finds a battered corpse: the general’s wife. Lee Child’s new stomach-churning, palm-sweating thriller turns back the clock to Jack Reacher’s army days. For the first time, we meet a younger Reacher, a Reacher not yet disillusioned with military life. A Reacher with family. A Reacher in dog tags and starched uniform who imposes army discipline, if only in his own pragmatic way. A Reacher as far from the no-credit-card, no-last-known-address drifter of the previous eight novels as is possible to imagine.